Give them the Complete Package! ...all conveniently packaged in a sealed poly bag. No Assembly Required! 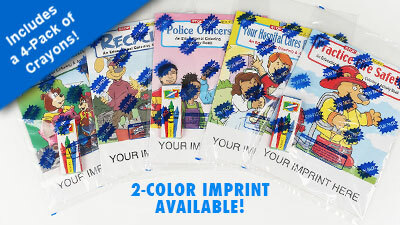 Fun Packs include a book plus a 4-pack of crayons, conveniently packaged in a sealed poly bag. Paint with Water Books Fun Packs include a paint brush, not crayons. Repeats: No Setup Charge for exact repeats. 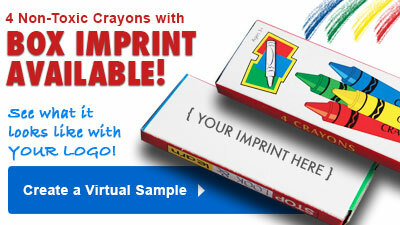 Run Charge: $0.12(V) per 4-pack of crayons.